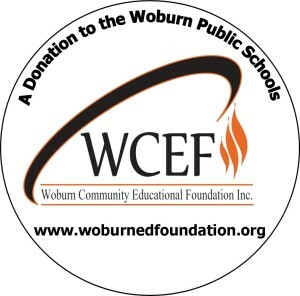 WCEF is proud to award Grants to Woburn Educators to support innovative instruction, enriched curricula and the use of new technology and approaches in the classroom. Since 2014 we have invested almost $70,000 in projects that cannot be funded by the regular school budget. In 2018, WCEF funded a total of 27 new innovative projects in the Woburn Public Schools to support student achievement, positive life choices, innovation in instruction and educator ongoing professional development. Selected through a competitive review process, these grants totaled $23,212. This project provided the opportunity for Mr. Kalpin to attend a 70 hour intensive professional development workshop to build his skills in incorporating Modeling into the existing Chemistry curriculum. Modeling is an approach to instruction that has been shown effective in engaging students in active learning. He is now using these skills to increase his students’ understanding and interest in Chemistry concepts. Through peer to peer collaborations, Mr. Kalpin is also sharing these skills with his fellow educators. Kristina Hiller Dowling was born with Osteogenesis Imperfecta (OI) which is a genetic disorder characterized by bones that break easily. This project allowed her to travel to visit with the students in Mrs. Locke’s Personal Fitness and Early Childhood classes to speak with them about her challenges and outlook on life. Although Kristina is not a professional motivational speaker, her sense of humor and positive approach to her many physical and life challenges deepened student’s understanding and inspired them to look differently at themselves and others. This project purchased a tabletop groundwater simulation tank, which demonstrates the flow and contamination of groundwater. This tank will allow students to actively “pollute” various wells and waterways with food coloring to see the extent of the pollution plume. The tank is an important addition to the Earth and Environmental Science curricula, and will increase students understanding of the environmental impact of pollution on public waterways and drinking supply. This project allowed Ms. Rice to attend the 2018 Conference for Every Educator, a professional development conference which offered more than 200 learning sessions directly applicable to the specific needs of Woburn students. The sessions focused on teaching and learning, the whole child, redefining student success, poverty and equity, global engagement and transformational leadership. After attending the conference, Ms. Rice developed presentations to foster and create professional learning communities within the district that engaged educators in effective conversations to gain new knowledge from each other. This project has resulted in the development of new educator skills, strategies and information that will improve students’ experience, engagement and success within the classroom. This project provided startup funding to bring the Naviance Program to the Middle School Guidance Offices, in order to make career exploration and personal awareness tools available to students at these schools. While currently only available to high school students, this program will now help all middle school students, and especially 8th grade students, realize their options and opportunities for their future based on their strengths and interests. Funds awarded through this grant will cover program and set up at each middle school; the program will be sustained into the future by the Woburn Public Schools. This grant purchased a new marching xylophone for students to use in order to qualify to perform as part of the Woburn Memorial High School Winter Percussion Team and for a future school-wide junior team. Mallet instruments are the most important in showcasing the melody with which dancers and drummers perform. This project purchased 3 Ipads to benefit Special Education instruction for students in grades K-5. With teacher guidance and instruction, Resource Room students will use these Ipads to participate in dynamic learning experiences using leading edge technology and supportive, multimedia applications. Ipads provide real-time, hands-on, multi-sensory academic experiences which most greatly benefit students who face challenges to learning. This technology is used to actively engage all students in the learning process across all curriculum subjects. This project purchased “Math and Movement” Mats for the kindergarten and 3rd Grade classrooms. Math and Movement is a program that uses a kinesthetic approach to strengthen and reinforce basic and foundational skills in the areas of Math and English Language Arts. The Program supports differentiated instruction and engages all students in multi-sensory activities of exercise, stretching, yoga and cross-body movements. Math and Movement provides hands-on, interactive activities appropriate for students with various learning needs. Students in kindergarten through grade 3 will use these mats daily to learn core Math concepts and to build foundational learning. This project provides 6 Chromebooks for use in the Language-Based Special Education Classroom. Chromebooks provide daily access to technology that has built in supports, scaffolds, and challenges that provide multiple ways for students to engage in content, and to build and demonstrate learning independence. Access to this technology seeks to “level the playing field” for special education student by overcoming barriers to learning. WCEF is proud to bring this sought after writing program to Woburn Schools. This engaging curriculum equips elementary teachers with proven methods and effective strategies to bring out the best in individual and classroom writing. Through daily writing prompts, students become better writers and develop a love of writing while Woburn educators become better writing teachers. This project brings programs to the classroom which build English Language Arts skills in students. Spelling City and Reading A-Z are technology-based programs which build vocabulary through interactive literacy activities. The purchase of an Ipad to support access to these programs will help students with their spelling, vocabulary, fluency and comprehension skills. This project will continue to allow Hurld students to build their math skills with the IXL Program. IXL Math is an online interactive program that provides unlimited practice at skill level directed at each individual student. It can be used for enrichment, remediation and practice, and will particularly motivate struggling students to build on learning success. This project seeks to address the achievement gap in the area of literacy in students of diverse ethnicities through the introduction of mentor texts and classroom books featuring characters that reflect the backgrounds of high-needs students. The backgrounds of these characters are diverse in terms of ethnicity, race, language and socio-economic status. With a focus on 3rd grade English language learner (ELL) students, the goal is to increase reading engagement and achievement as a direct result of making connections with the characters featured in these texts. WCEF was pleased to provide funding for the first-ever Literacy Night, which gave families an opportunity to learn how to support student reading and writing at home. In developing this event, the goal of the Linscott-Rumford educators was to empower parents and guardians to build reading achievement for all students. The evening featured a local author as guest reader, crafts, literacy activities and dinner, all designed to help parents and guardians develop tools to help them play an active role in student literacy development, with the skills, attitudes and behaviors that support early reading and tips to support student success at home. Through video recording software that educators can utilize to record and edit lessons for multiple purposes. By sharing videos of daily classroom lessons, this project provides an alternative method to train, and model best practices to parents, while improving home to classroom communication. Camtasia/Snagit will enhance learning and address the academic needs of diverse populations of learners. Through this project, students will utilize this technology-based program to practice advanced math skills such as addition, subtraction, graphing and money that align with the 1st grade curriculum. Splash Math will expose students to multi-modal approaches to learning that enhance the goal of developing critical thinkers. Pre-school and Pre-K students will now be able to read independently, with the addition of a listening center to the classroom. This project will introduce students to literature and allow students to hear stories aligned with different curriculum areas. Providing access to reading on an independent level guides each student through the beginning stages of becoming a reader and develops a love of stories and learning. WCEF is pleased to purchase a Wenger Footnotes Music Rug for use at the Reeves School. The rug will allow students to participate in more kinesthetic learning activities as they learn how to read music on the staff. This project promotes teamwork, enhances musical understanding and gets students literally moving to the music! “Time to Boogie” is a technology program that offers an interactive, engaged learning experience. Boogie Boards are portable boards that come with a stylus for writing, that are fun and easy to use. First graders use them to solve math problems, sound out and write words, practice letters, and show their thinking in various ways. They allow for small group collaboration and promotes social skills instilled in the lower grades. Kids are easily drawn to the wonders of technology and the Boogie Boards are a fun way to incorporate important concepts they need while having fun. WCEF is proud to support this project to facilitate student learning in grades 4 and 5, utilizing the Daily 5 and CAFÉ programs. These programs offer instructional frameworks which create routines with students through focused teaching, student modeling and practice. The Daily 5 helps students build stamina, develop independence and make successful choices through activities that include read to self, write to self, read to someone, listen to reading and word work. Listening is especially beneficial for struggling readers as well as English language learners, by providing pronunciation and use of expressions to model. This project will support enhanced educational experiences for students who struggle learning math concepts. In 2017, WCEF funded a total of 20 new innovative projects in the Woburn Public Schools to support student advancement in learning, positive life choices and creative approaches to teaching. Selected through a competitive review process, these grants totaled $17,885. This project provided funding for subsidies for low-income high school juniors and seniors who needed to attend night school in order to graduate on time. The availability of these funds allowed 15 students, in grades 11 and 12, to recover 23 credits in the core subject areas. Through this program, WCEF made it possible for 13 students to graduate this school year with their class. This project invited astronaut Tim Dodd to the school, to give a presentation to the study body to “bring space down to earth for everyday people.” Tim’s talk incorporated tenets of STEAM (Science, Technology, Engineering, Art, Math) to inspire today’s students to reach for the stars. As a successful photographer, Tim also met with a group of advanced art students to share his advice and experience. This program is an extension of the Health and Wellness curriculum, proven to reduce the risks of alcohol, tobacco and drug abuse and to reduce violence by building skills and resiliency in young people. Botvin Life Skills help students resist peer pressure, increase self-esteem, and handle stress and anxiety through enhanced cognitive and behavioral competency to reduce and prevent risky behaviors. All middle and high school students will benefit from this program. WCEF is proud to fund the purchase instruments for the new Hand-bell Choir and Percussion Ensemble at the school. We look forward to their debut at the Holiday Concert in December 2017, with a performance of “Carol of the Bells”! This project uses Ipads to create customized learning experiences using supportive media technology for diverse learners of varying academic needs. Through the use of Ipads and professional production staging, students in grade 5 will film and produce high quality video presentations for a variety of uses, including monthly video news features that showcase school activities. This project will increase the creative confidence of these students and expand their knowledge and use of technology. Document cameras project a page of a book or a 3-dimensional object onto a screen for the whole class to see. This technology is used to actively engage all students in the learning process across all curriculum subjects. WCEF has funded this program for the 2nd year at the Hurld School, as it has shown great potential to advance student’s mastery of math concepts and standards. This program can be utilized at home as well as in the classroom, and engages students in supportive learning which guides and celebrates individual achievement. Students with disabilities that affect how they learn benefit from multisensory approaches and multimodal learning strategies. These tablets allow access to differentiated learning programs that provide individualized support, and increase student learning and engagement. Reader’s theater allows students to use scripts adapted from stories in order to improve word recognition and reading fluency. This program addresses a need in the school to improve reading fluency among 1st grade students. This project provides access to visual information, a key component in ESL instruction. Students are now able to make connections between English language words and objects and express what they know in a variety of different formats. This project offers students opportunities to use authentic visuals across a variety of curriculum areas. These materials assist students in developing basic communication skills and cognitive academic proficiency by expanding their vocabulary through language-based activities geared towards their individual learning needs. This project has provided funds to purchase 4 Osmo Gaming systems to facilitate a hands-on, movement driven learning environment. Students now have the benefit of learning how to manipulate numbers, words, art and coding while fostering small group collaboration. This project provides educators with a virtual library of level appropriate books that can be printed and shared with students and their families. These books can be tailored to each child’s fluency, comprehension and language skills to encourage learning and a love of reading. Through this project, students in the 2nd grade will have the opportunity to observe and care for eggs and chickens. They will gain a greater understanding of biology and life science concepts as well as develop respect and responsibility for living things. WCEF is pleased to bring the Museum of Science program to the White Elementary School! This interactive presentation teaches students how forces create motion, what simple machines have in common, and why they help us perform a large amount of work. This project addresses the need for musical instruments for elementary students. African drumming promotes expressive communication, stimulates cognitive functioning, and improves coordination, giving it multiple applications across curriculum areas. The purchase of 9 African djembes are being used to facilitate in-class instruction for 2nd and 3rd graders, and also in a new after-school music program at each school. This project will bring a new tool to the WMHS Guidance Office, to serve those who experience social-emotional stress. The EmWave Mindfulness System is a self-directed intervention for students who experience extreme anxiety; the goal of this program is to reduce time spent out of the classroom. WCEF is proud to co-sponsor this school-wide assembly. All WMHS students have read Roy’s memoir Eleven Seconds; they will now get to hear his inspiration story and meet this motivational speaker in person. The purchase of Google Viewers will integrate with existing classroom technology to allow students to travel the world in three-dimensional virtual reality. Students in the WMHS Fine Arts Video Program will have a new learning experience through the use of GoPro Cameras, the latest advance in digital image technology. This project was developed to respond to the needs Joyce students who are currently homeless and do not have access to computers. This learning center will be available during out-of-school time, to provide equal access to technology for all students to facilitate use of Google tools in the classroom. The integration of Ipads in the Resource Room will be used to create customized learning experiences for diverse learners of varying academic needs. Funds will be used to purchase a Wenger Footnotes Music Rug, which enables students to use their whole body in kinesthetic learning activities to find notes on the musical staff and explore melody. This WCEF Grant will be used to purchase the Wonder book series as part of a strategy to use a multidisciplinary approach to teach an Anti-bullying program to 5th grade students. WCEF is pleased to provide funding that brings the interactive enrichment program, Life Cycles of Raptors, to the school’s 2nd grade. This project funds the purchase of 4 licenses to bring differentiated, engaging and measureable technology based learning experiences to 100 students. This Lego Program provides hands-on learning experiences that use manipulatives to engage students in higher level thinking activities, and opportunities for students to get excited about learning, to think creatively, and to work cooperatively in a community of learning and respect. WCEF is providing funding for the pilot of the Alternative Instruction Model as a supplemental STEM class for students who are accelerating in the general education classroom. The success of this project will determine future goals for STEM content in general classroom curriculum. This art project creates a permanent installation and engages all students in an exciting, hands on art project to learn American history as it unfolded in Woburn. This project fosters collaboration, pride, belonging and a sense of place. This technology project will provide students with moderate disabilities an opportunity to access information across the curriculum with increased independence. Students will develop their active learning skills in the areas of Reading, Writing and Listening. WCEF funding will purchase 19 of these highly versatile instruments, to students the opportunity to make music instead of just learning about music. This project will provide a multi-sensory, cognitive behavioral social learning curriculum that will help students with social emotional deficits develop better self-regulation across a range of social situations. WCEF will provide funding for this program, as a highly effective instructional method and intervention to develop language comprehension and expression skills for students of all ages. Through the purchase of 3 Chromebooks, students will now be part of a virtual multi-cultural classroom through integration of the ePals online platform. This project also introduces students to the use of technology as learning tool. Through this grant, students in the Woburn Memorial High School Fine Arts Department will learn how to create beautiful on location portraits from Sid Ceasar, a nationally published portrait photographer and designer, based in Nashua, New Hampshire. This grant incorporates World Music into the elementary standards for music education. Students will learn how to keep a steady beat, identify rhythm patterns and study African Music through the purchase of three tubanos, a type of African standing drum. This project meets the need for rich and relevant literature that encourages Ms. Cefali’s students to become motivated, fluent and skilled readers. These comprehension kits by Benchmark Education include extension activities that support excitement, curiosity as well as enhanced learning. Through this Grant, Top Secret Science will visit the Goodyear Elementary School and work with each grade level. Through programs that include “Properties of Rocks & Minerals”, “Engineering Design” and “The Earth in the Solar System”, students will acquire greater understanding and excitement of scientific topics. The Grant will provide funds to purchase three Ipads as tools to provide increased, differentiated, individualized and enhanced instruction in the classroom. Ipads provide an enhanced, custom learn experience for each student, and can be utilized within each classroom to research, create and present projects in all subject areas. These Grant funds provide students essential components of the Common Core reading curriculum through the use of the individualized, research based, learning program Lexia. This technology based system custom tailors reading instruction and facilitates in class and school to home resource sharing for expanded time in learning. Access to Lexia extends beyond the normal school day and school calendar year. Lexia will increase achievement for students at all levels of learning, to include at-risk, English Language Learners and Gifted. The Grant funds the purchase of three classroom Kindles with expanded storage capabilities and accessories, which will be used to individualize and improve classroom instruction and increase student learning and engagement. This program encourages students to build confidence as they develop STEM (Science, Technology, Engineering & Math) skills. These fields are deeply intertwined in how students learn most effectively. Ms. Johnson’s First Grade students will learn through trial and error as they solve real world problems by designing, building, and testing with structural materials. This Grant funds a Kindle-based program that assists special education students in accessing reading materials, to increase their skills, fluency and confidence. Students will utilize the Kindles to read along with Audio books. In the future, the use of the Kindles will be expanded into other subject areas, such as Math. This Grant will provide six customized programs for second grade Science students, to include Legopalooza Engineering & Design, Superhero Science & Design and Build Workshop. This program reinforces State Science Standards related to Physical Sciences (position and motion of objects) and Technology/Engineering through hands-on exploratory learning that is fun for students. Funding will provide multi-level nonfiction and fiction book sets for students, which will be utilized both in school and at home. Students will build their fluency and comprehension skills by reading fiction and nonfiction books at their individual reading levels. This grant addresses a prevalent need in the school community to provide appropriate reading materials to students for at home learning.